Welcome to my 9th edition of my monthly blog income report. Each Month I will prepare a report in which I will publish all my blog statistics and income that have been generated from Cash Flow Diaries. If you would like to see all or previous income reports of mine, you can do so here. To be honest, I have not spent a lot of time on the blog in the past 6 weeks. With my day job, wedding planning, my new working out routine and researching my new Amazon FBA side hustle, I find I don’t have ton of time to write blog posts which is why I have decided that for now I will only write one blog post a week unless I find some extra time somewhere in between. Even though I am writing a few less articles per month it is great to see that my blog is still growing. I owe all of this though because of my social media marketing. Between Pinterest, Facebook and the Twitter growth, my reach is expanding and bringing in those page views which is awesome. As you will see below, there is money to be made with blogging although it is not easy but if you try hard enough, it can be done. And with zero blogging experience. If you are interested in creating a blog for yourself, here is the step by step guide on how I created Cash Flow Diaries. It literally only takes a few minutes and its about $6 per month for hosting if you decide to go with Blue Host who is the provider I use. These are the finalized earnings from February 1st to February 29th. I am running a total of 3 adsense ads on my blog, 2 in my posts and 1 in the sidebar and with just those 3 I am making decent monthly income with the adsense ads. This month I made about $15 more than last month and I attribute that to the page view bump I had. Exciting! In 9 months of blogging, I have now made a grand total of $328.41 from AdSense. I am very pleased with this number. Of course I wish it was more and hope that it only gets better but it’s not easy generating traffic to my blog. I have been averaging a big fat whopping Zero from Amazon most months so I was excited to see I made close to $10 from Amazon in February. Good stuff! Dag gummit!! This one was disappointing for me this month. I make a $100 per signup with my Personal Capital affiliate so it is really nice when this one hits. It’s not easy though because not only does someone have to sign up but they have to have over 100k in invest-able assets for me to get the pay out. That makes this one difficult to obtain. I’m hoping I can get at least one sign up in March. Anyways, for those of you who do not know what this is, it is a personal finance manager online site/app that aggregates all your income and expenses and provides cool graphs and charts for you. It’s completely FREE and I find it very useful especially for tracking my net worth. Lately I had been averaging about one blue host sign up per month but unfortunately I got a nice goose egg this month. At a $65 payout per sign up this affiliate is my favorite and I hope I can get more in the future. I know people make money with this one, Pat Flynn makes over 40k per month on his blue host sign ups. He is crushing it! You can see his income on my Ultimate List of Blogger Incomes and of course he is ranked #1. Media.net continues to surprise me each month. My income from this has been getting bigger ever since I signed up in January. This month I made $10 more than last month so it is nice to see this add up. Again, like adsense, I contribute this increase because of the page view bump I experienced in February. Read below to see my page view stats. This is my new record in page views from not having a post go viral. 1,482 more page views then last month. I definitely attribute this all because of the social media push I have been doing to increase traffic. It’s working! I mean its nothing crazy like these other bloggers but I am absolutely ecstatic about this. This is great progress for me and I think 2016 will be huge for me. I just need to keep doing what I am doing and then some! 1500 more followers in February is awesome and it’s complete because of the Cash Flow Diaries Twitter Strategy I have been doing the last few months. I am doing all of this for FREE and I probably spend about 10 minutes per day making this happen. Facebook is steadily increasing and I think there is a 5k limit of friends so I will probably hit that in March. But it’s okay because I created my blog facebook page a few months ago and that is also seeing steady growth. I refuse to pay facebook for advertising unless I decide to sell a product or something so I am okay with the small growth on my page. You are doing GREAT with your social media following. I just started my blog and will be using your Twitter strategy to gain more followers. I read a lot about bloggers getting the bulk of their traffic from Pinterest, so I am interested to read the post you write about your Pinterest strategy. Thanks so much. I think social media is vital for us bloggers. You will be one step ahead of me by following my twitter strategy so early on. I wish I knew about it when I first started. Yes pinterest is a huge traffic generator for a lot of bloggers. I have been trying to do that but just cant get it going. I get decent traffic from pinterest but not like I see others getting. We’ll see if any of that changes in the next few months. Im hoping that it just takes some time to pick up steam. I never used pinterest for promotion but I am sure it has great potential! Great job! I’ve started doing more phone consults and I like them a lot – great energy and it’s nice to talk to someone since 99% of my communication is done online. I have got to get on board with FB more. I don’t really see the point since Pinterest works so well for me, but it seems like some companies that do sponsored posts make this a requirement. Awesome job this month! If I were you I would get your FB going just in case something ever happens to Pinterest. Kind of like a plan b or something you know. Hope you have a great month! Great work! Thanks for sharing. It seems everyone I see who publishes blogging income reports is earning the majority of their income consulting based on leads generated from their website. It’s clear to me I need to rethink my blogging strategy and either find a service I can offer consulting around, or build a new income blog around a new service. Your twitter strategy has been working for me also, so I appreciate your sharing it. I haven’t really been paying too much attention to Facebook since I’m less interested in building an audience on someone else’s platform. But I’d still be interested in hearing your a similar post on how you drive your Facebook growth without advertising. Especially considering how well known it is that many of the paid facebook followers are people paid to following thousands of pages and not a useful audience. Youre welcome Jack! Thanks for checking it out. I definitely agree with you that most of the other blogger incomes come from selling a product or service that they provide. That along with affiliate income might be the best way to make it happen. Im really glad my twitter strategy is working for you. That is great news! And that is a good idea on the facebook post, I may do that in the future. Great job! I’m thinking your blog will really take off in the next few months. How exciting to watch it happen. Do you ever regret doing these income reports? No I dont regret doing these income reports at all. Why do you think I would regret it? If I ever decide that its a bad idea to do these then I will just stop. That is the beautiful thing about having a personal blog is that there are no rules and I can do whatever I want. 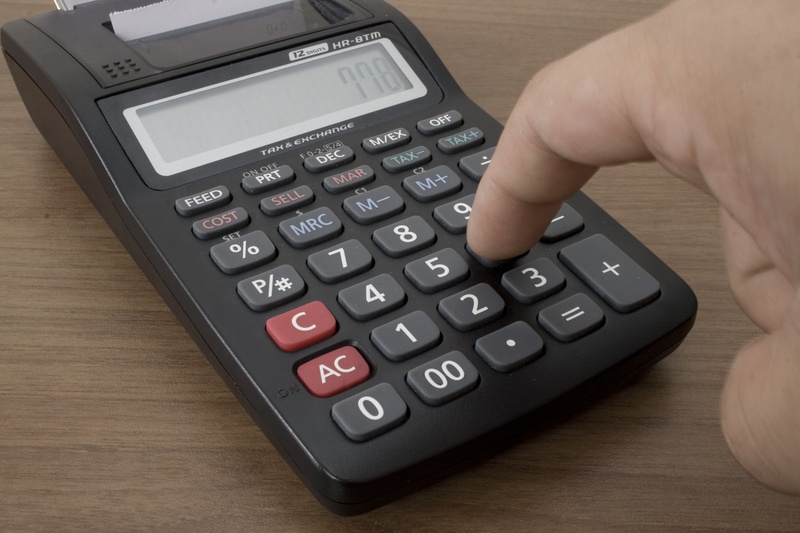 The reason I asked if you regret posting income reports is because I see many bloggers start off posting income reports and then stop, but keep posting new posts. I’m curious what percent of your website traffic is because of these monthly reports? I see! I wonder why they stop posting them?! I have never calculated the percentage of traffic from those posts but i can tell you that I have other posts that get more traffic daily. Man you’re doing well; interested to know if you’re going to focus on 1 thing i.e. the FBA process moving forward.. You must be super disciplined to be able to get all the things done you’re doing at the moment! My main focus going forward is definitely not going to be just the FBA stuff. Everything I have ever written about is pretty much about anything that makes me cash flow or leads me to making more cash flow so I will stick to that. The FBA thing is just a temporary endeavor that I am using to generate more income so I can buy more rental properties. With that being said, I do plan on making some future articles about how the FBA thing is working out for me though whether its a success or failure so that should be interesting. Haha, yeah I am actually really disciplined, focused and have great multitasking skills so that helps a lot with everything that I do. It is super inspiring! I figured you would be doing a killing with your blog. Maybe there is something I can learn from you? You are doing GREAT with your online networking taking after. I just began my site and will be utilizing your Twitter procedure to acquire supporters. I read a great deal about bloggers getting the heft of their movement from Pinterest, so I am intrigued to peruse the post you expound on your forecast technique. I don’t get a ton of traffic from pinterest like I see the other bloggers doing although its getting to the point now where pinterest might be my best referrer so I will continue trying to improve on that. Great job on your earning in February. I always find it inspiring and the push I need to continue doing what I love to do. I found it very interesting that your media.net ads outperformed your Google Adsense ads. You mentioned that you are using two google ads in the articles and one in the sidebar, but what is your strategy for the media.net ads? Also, your strategies for increasing followers on Twitter and Pinterest are very helpful. How is it that you are also increasing your Facebook followers at such a good rate? Hey Chris!! I also found it very interesting that my media.net ads are doing better but I am very happy with it. I only use media.met on my sidebar. I think I have 3 of them on my sidebar. I tried using them in my posts but they were responsive and it was causing problems with my mobile viewers. That is why I just keep the adsense in the post now because those look good in mobile. This is really helpful for me. 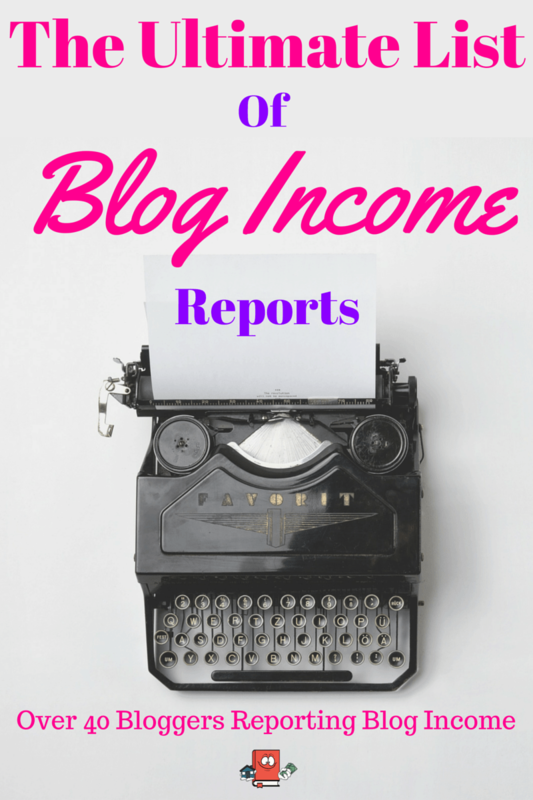 I love reading others’ income reports because it gives me ideas for monetizing my blog. Keep up the good work! Thanks for the tips. I just started testing Pinterest. Board Booster is something I’ll checkout for sure. Let’s follow each other, I just started following you. Youre welcome! Board booster has definitely increased my pinterest traffic. I actually am breaking all my pinterest traffic this month right now which should be exciting talking about it on my next blog income report. It seems like you are getting a good amount of traffic to help with income results. Converting flex offers and affiliate links has been a challenge for me. I’m sure in the future it will be easier to convert with greater traffic. Thanks for sharing. Hey EL!! The traffic definitely boosts up the adsense and media net income for sure. Traffic is crucial to success. The problem is figuring out how to get it. Its hard for sure. And it is difficult to get those affiliate links for me as well. I am happy if I get one per month on each but that does not happen every month for me. I am hoping that google gives me more organic traffic from the search engines once I hit the 1 year mark with the blog. Nice work my friend…one of these days I will find some time to get my resource page and affiliate links going. 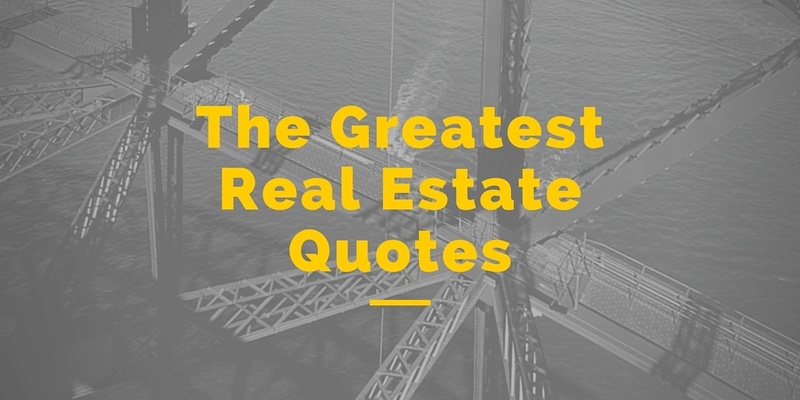 Thanks for sharing all of this, it’s a great resource. Thanks Chad! You should take the time to set it up, once you do it, you just sit back and collect. Probably wont be much but its passive income and that is gold! Great job! 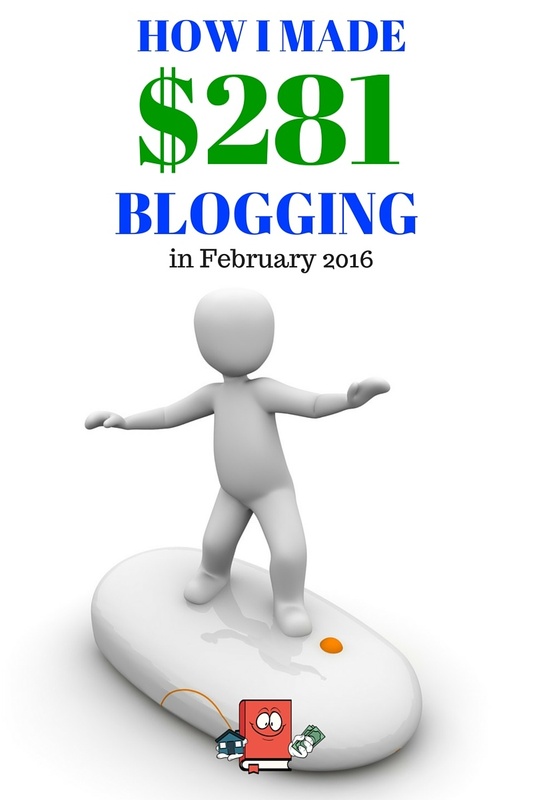 Blogging income is like a snowball, once you get it rolling it keeps getting bigger and bigger. Keep up the good work! I really do hope it continues getting better. Would really be a good boost to my income. I love reading these “Status Updates” from the personal finance blogging community. It really is an amazing group. Congrats on your progress so far and I found a new blog to follow today!